Hey all, Jordan here! 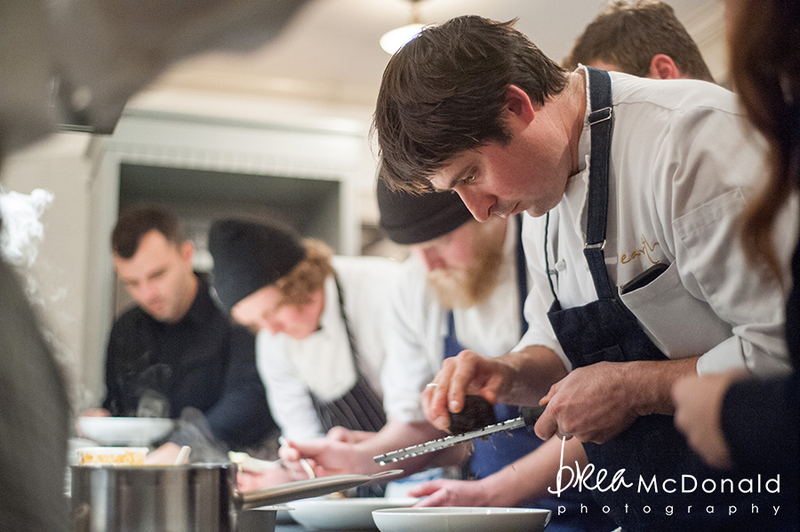 In honor of it being Maine Restaurant Week I am excited to share some of my favorite shots from February’s Flanagan’s Table Dinner. I am looking forward to returning back in June to photograph the final dinners Flanagan’s Table will be offering through December. 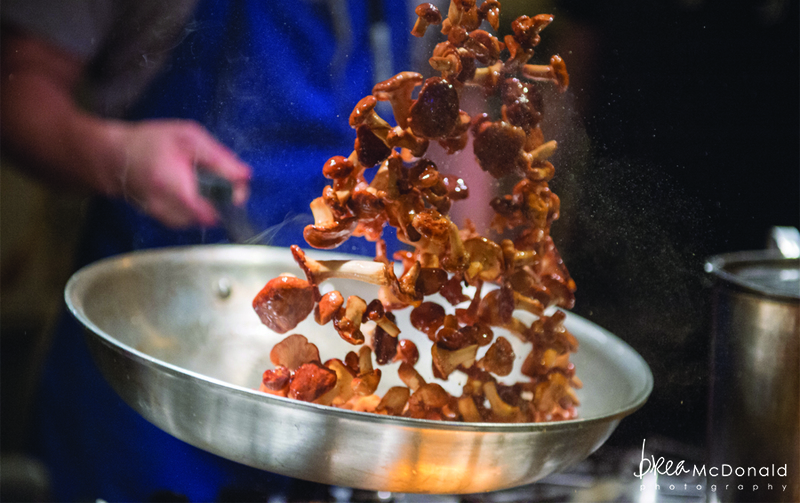 It is bittersweet to be a part of the final year, but I am happy to be able to attend and photograph some amazing chefs do what they do best. February’s dinner was based on the color Red and Chef David Turin of David’s Restaurant and Amanda Hallowell of Nebo Lodge teamed up to put on a 7 course meal for guests. Kate Martin of Beautiful Days came on board not only to set up an amazing table scape for diners but a whole environment complete with beautiful shear red drapery and colorful Chinese lanterns set up over head. Before dinner Vena’s Fizz House arrived and whipped up a yummy Red cocktail called “love Potion #9” for guests before they sat down to enjoy their meal. From start to finish it was such a great night filled with laughs, good drink, and full bellies. I can’t wait to go back in June! It’s not just about how good the food tastes, but how good it looks too! 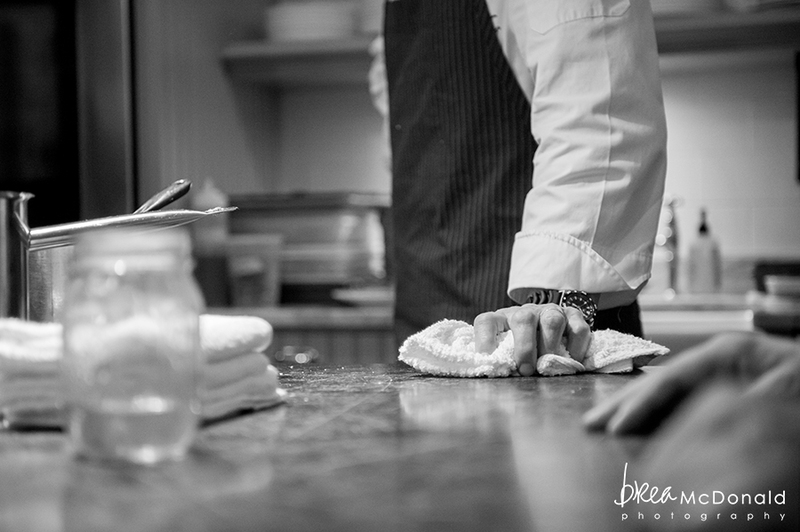 Over the past year we have had the privilege of photographing some of greater Portland’s best chefs. 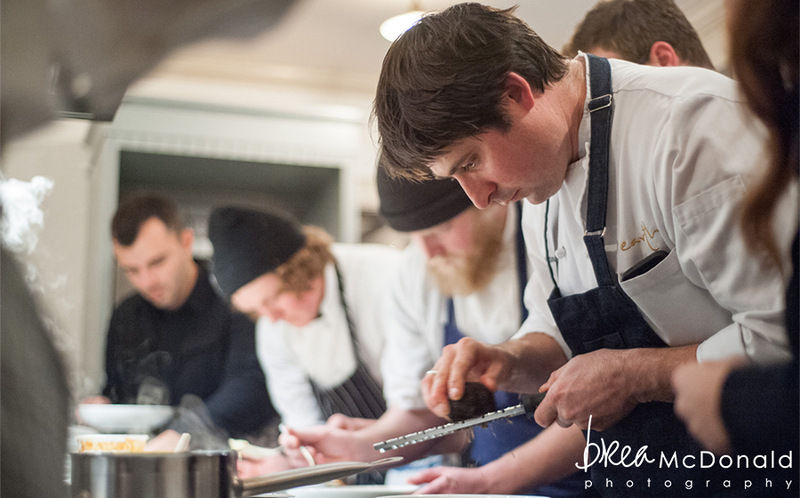 The upcoming Kennebunkport Festival has us nostalgic for all the wonderful dinners we have seen these chefs prepare. The Festival will feature some chefs preparing intimate dinners in private Kennebunkport homes as well as at other small events over the course of the week. The list includes Earth at Hidden Pond, David’s, Back Bay Grill, Piccolo, Vinland, and Petite Jacqueline among others. Looking at the line up of events for the upcoming festival, it is sure to be an amazing time had by all. To gear up for the festival eats, check out some of the chefs in action in these photos taken at the Flanagan’s Table monthly dinner series. We hope to see all of you out and about at the festival this week! Hey all, Jordan here! Last month I had the pleasure of photographing the crew of Earth as they returned to Flanagan’s Table in Buxton, ME to once again wow guests with a delicious five course meal. Flanagan’s Table is a monthly dinner series with a different Maine chef in rotation each month. Diners experience a meal prepped with the best fresh local ingredients, native wine and beer selections, and in addition have a portion of what they spent on their ticket donated to sustaining local farming and agriculture in Maine. I had heard wonderful things about Chef walker and his team, but being able to photograph their culinary creations and experience the hustle and bustle of the kitchen was an amazing treat! From the flavors to the plating, their dishes were very clearly well thought out and executed to perfection for the 40 plus diners. My favorite part of photographing the dinner had to have been seeing all the hard work first hand in the kitchen with Chef Walker and his crew and then moving out into the dining area to see the pure enjoyment of diners as they take their first bites of what is sure to be one of the best meals they’ve ever had. The winter storm that day surely did not stop guests from venturing out to enjoy the meal they’d been waiting months for and the staff at Flanagan’s Table and Earth made it totally worth the trip!